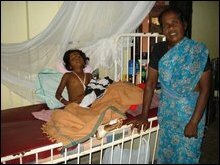 Many civilians were wounded Tuesday morning when Sri Lanka Army (SLA) artillery guns targeted civilian settlements on all fronts of Vanni. 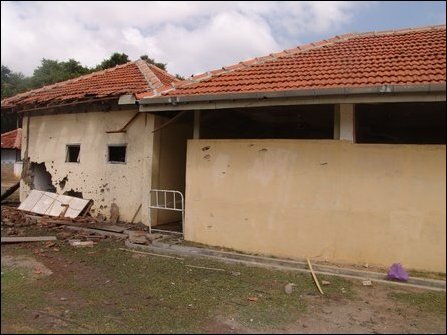 A 38-year-old woman was killed and six wounded around 10:00 a.m., when Puthukkudiyiruppu hospital premises and its environs came under artillery fire. Meanwhile, four civilians, including 2 children of the same family, were killed in Visuvamadu. 2 more civilians were reported killed on Monday in Vaddakkachchi. More than 20 civilians have been wounded so far on Tuesday in the indiscriminate bombardment. 13-year-old Subaskaran Sujitha, her elder sister 16-year-old Subaskaran Sujeeva, and a female Suman Mayoory were identified among the four victims killed in Visuvamadu Tuesday around 11:00 a.m. 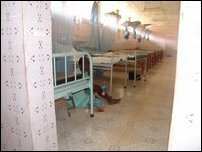 The wounded were rushed to Ki'linochchi hospital functioning at Visuvamadu Maha Vidyalayam. At least 14 civilians were wounded in the shelling that has targeted Athisaya Vinaayakar Koayil area 1 km southwest of Visuvamadu Junction towards Vaddakkachchi and at Visuvamadu Tank, 1.5 km from the hospital. 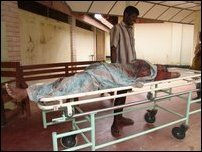 The woman killed in the shelling in Puthukkudiyiruppu was identified as Vijaratnam Vatsala from Aananthapuram in Puthukkudiyiruppu. 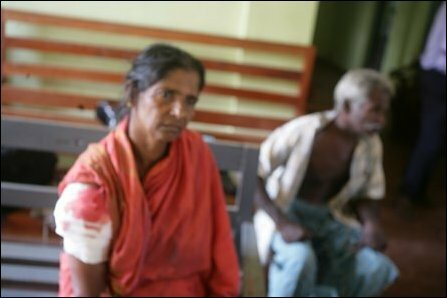 Two of the six wounded in Puthukkudiyiruppu were identified as 61-year-old Murugaiah Marimuttu from Vea'naavil and 26-year-old Aananthakumar Manonmany from 2nd division at Koampaavil.